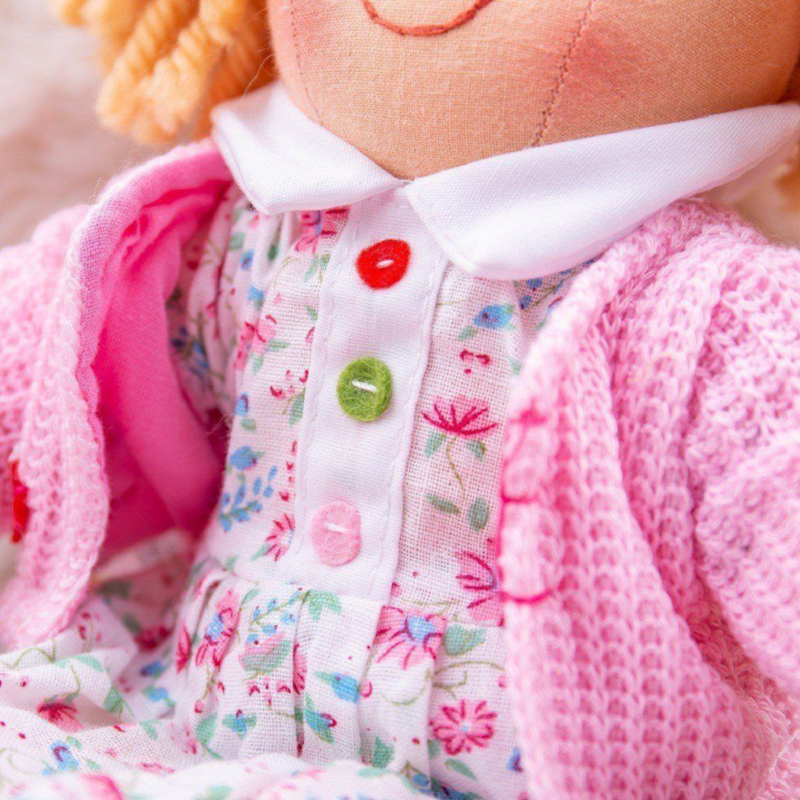 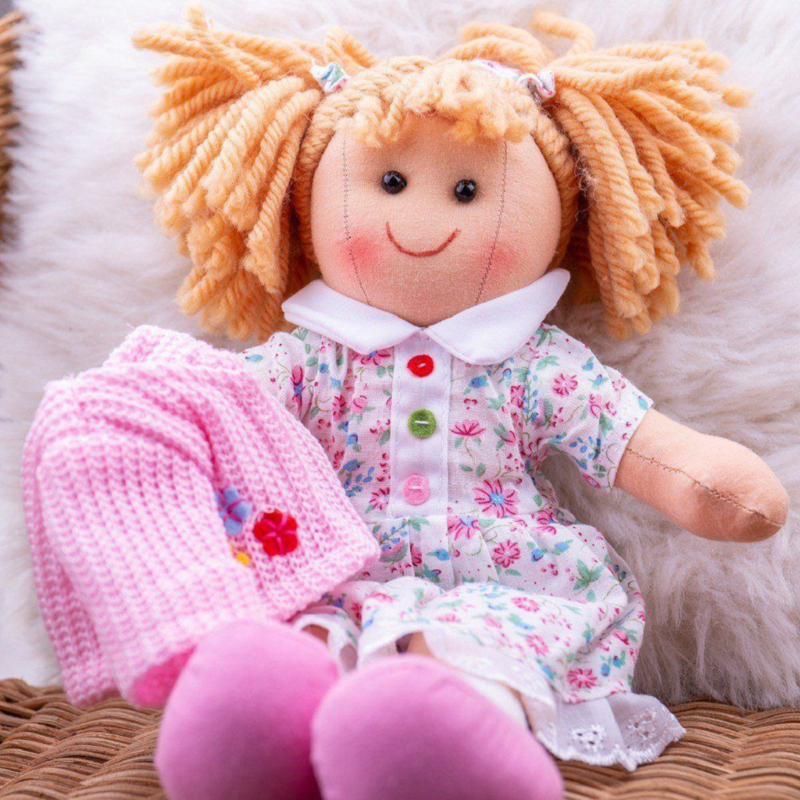 Meet Poppy - this soft and cuddly doll is a fashion trend setter with her bright dress and cute pink cardigan. 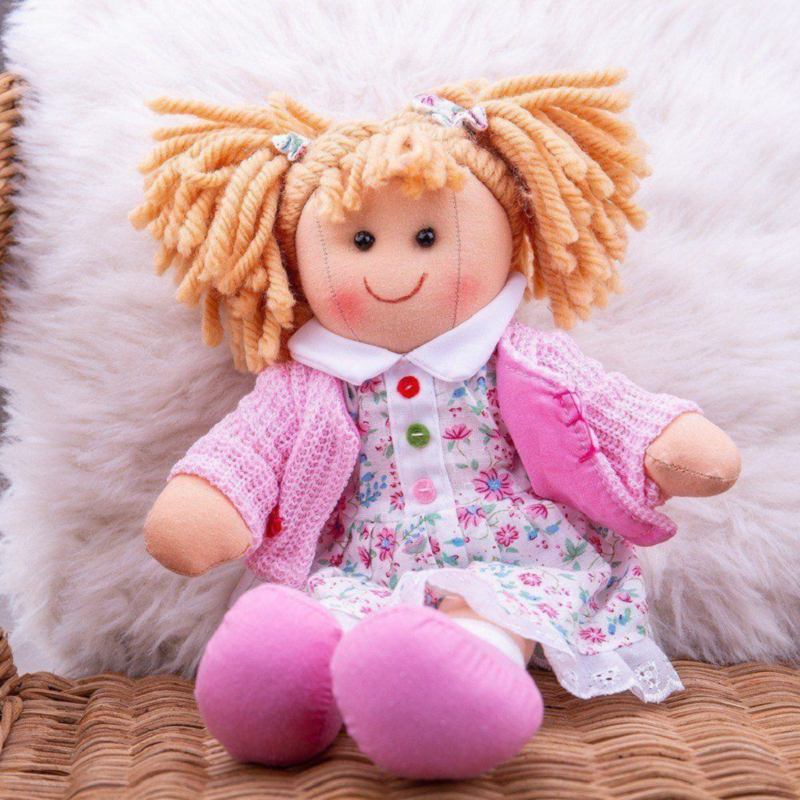 She's kind and loving and likes nothing more than to share a secret and a hug. 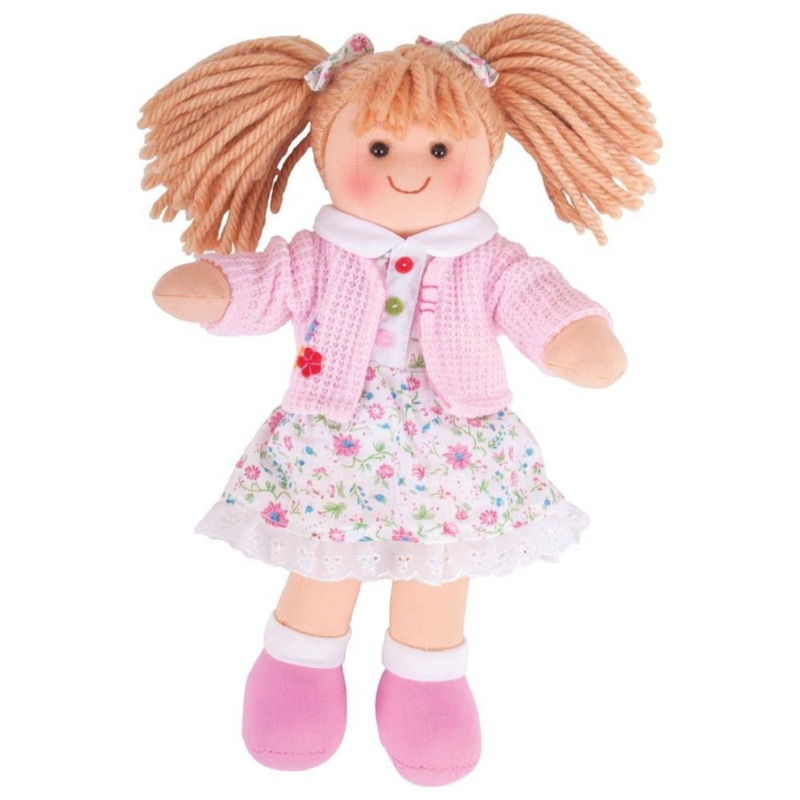 1 x Bigjigs Doll (Poppy).